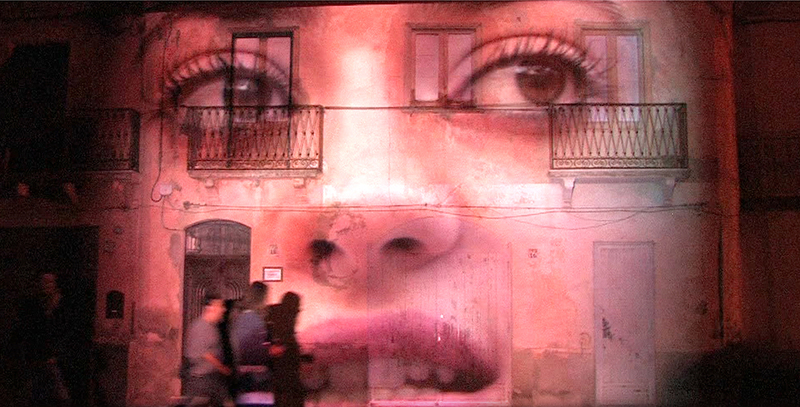 Elisa Laraia, Private Conversation, Urban Screen Project, 2011. Potenza, Basilicata, LAP Project. Elisa Laraia, Private Conversation, installation, 2012. Orfeo Hotel Contemporary Art Project Space. Elisa Laraia, Private Conversation, Urban Screen Project, 2014. Matera, Palazzo Lanfranchi, Basilicata. LAP Project. 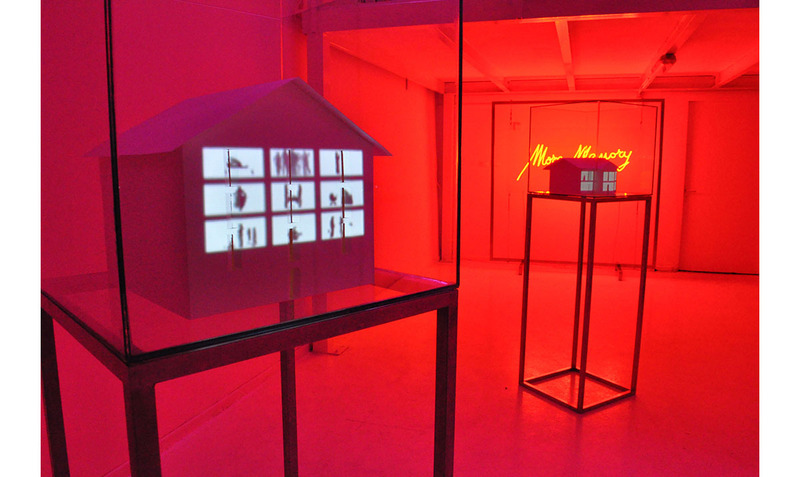 Elisa Laraia, Private Conversation, video still for installation, 2013/2016. Potenza, Basilicata, LAP Project. 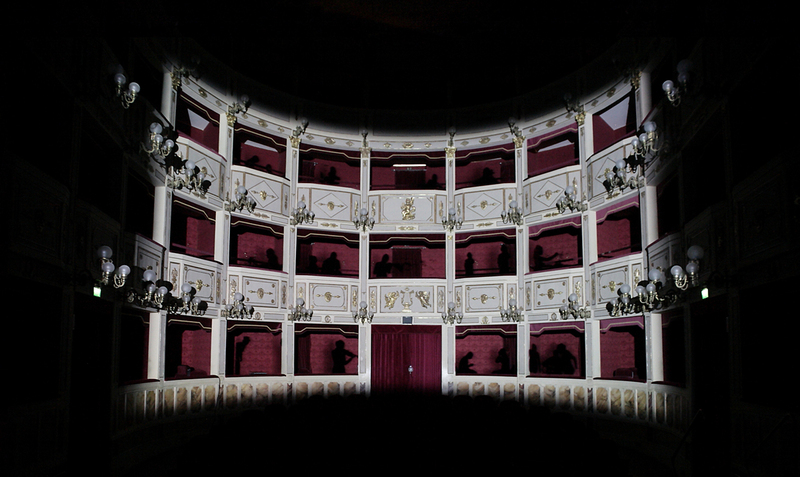 Elisa Laraia, Private Conversation, Contemporary Theater, Teatro Stabile. 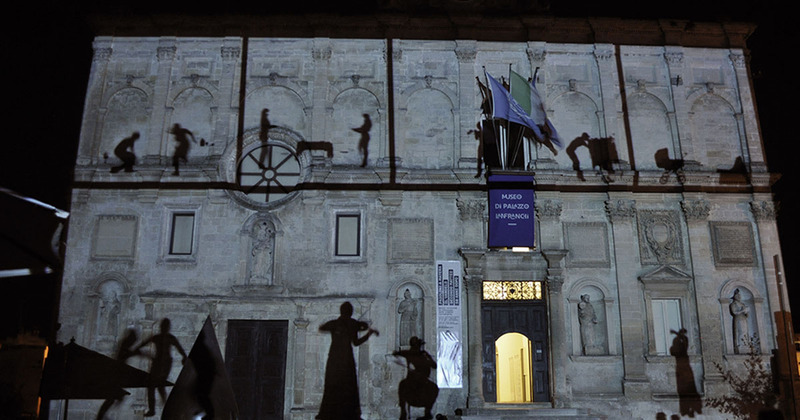 2011 Festival Cento Scale, Potenza. Private Conversation, embroidery on plexiglass, 2012. Collezione Privata. 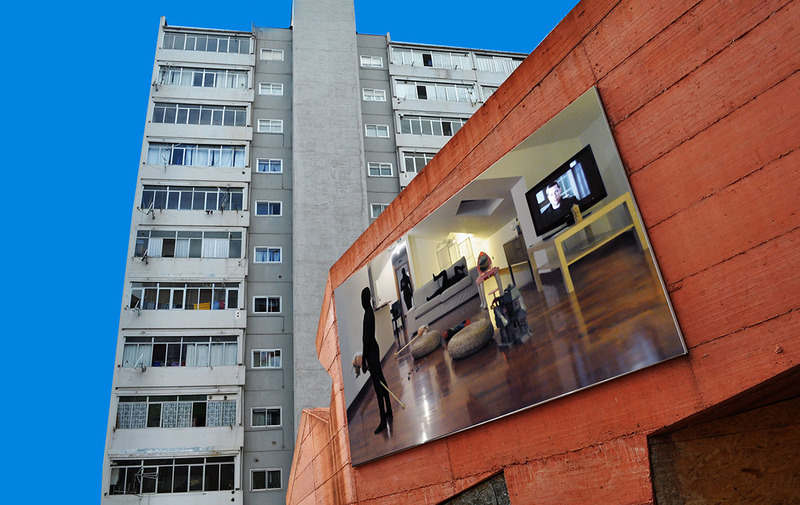 Elisa Laraia, Private Conversation, Urban Screens Project, 2013. Calvello, Basilicata, LAP Project. 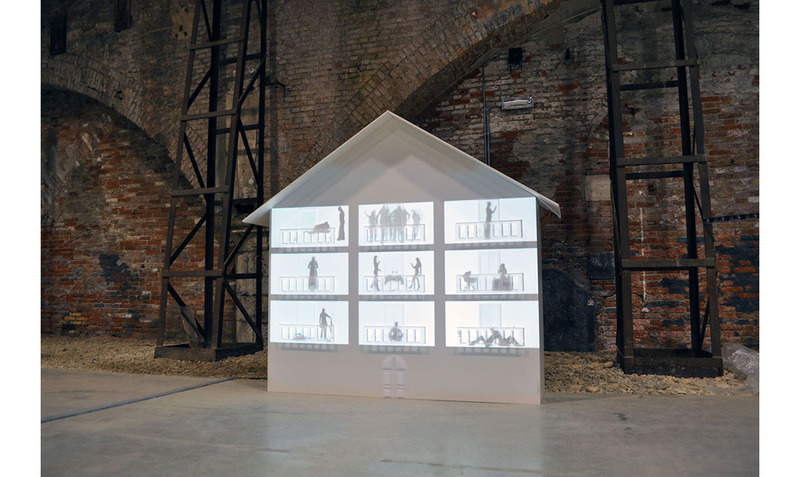 Elisa Laraia, Private Conversation, installation project, 2011. 54 degrees, Biennale di Venezia. Elisa Laraia is an artist who lives and works in Basilicata, Italy. Her research is entirely focused on themes of identity. Since 2005, she has developed the work “Private Conversation,” which consists of video projections on urban architecture that reveal inner feelings. This series incorporates community involvement to create a choral narration of contemporary society. 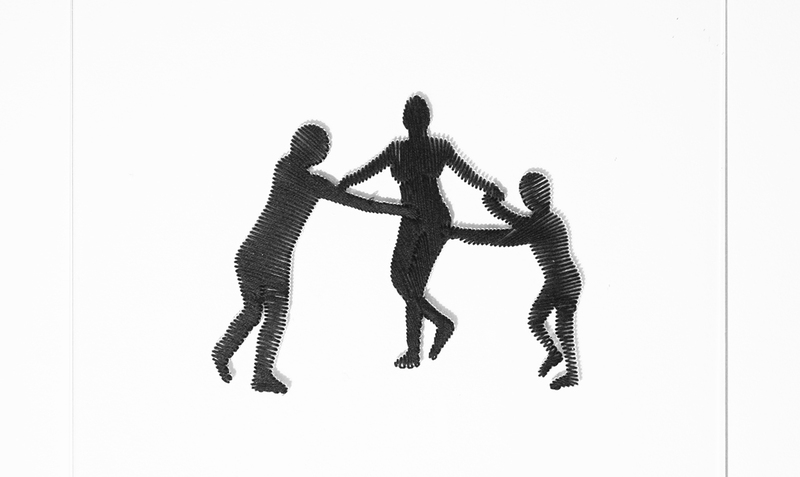 The people are the protagonists of an artistic collective action designed to produce audiovisual documentary material relating to the ethno-anthropological context in which the work is performed. 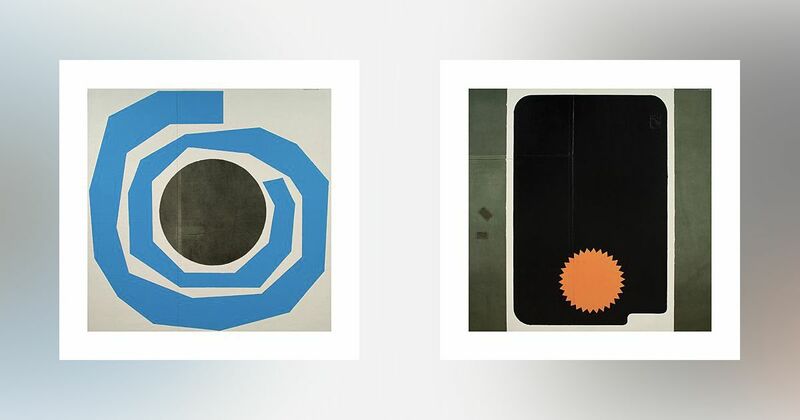 Through urban laboratories, involving the community from time to time, and supported by the use of the technique of urban screenings, the artistic action works on the concept of transfer of experience from private life to audience. 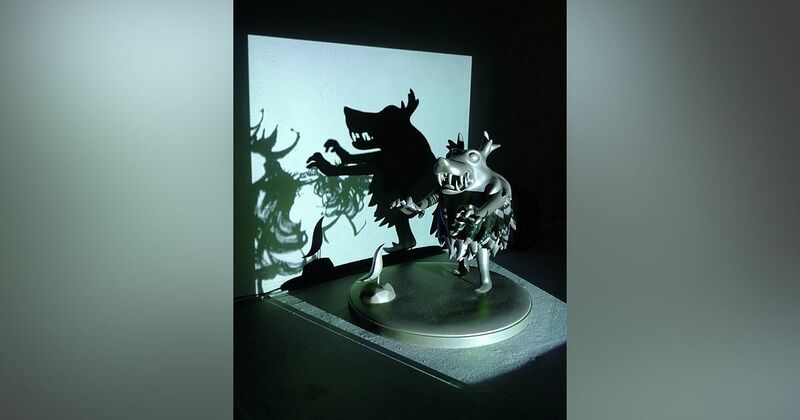 Since 2009, Laraia has also directed the Laboratorio permanente di Arte Pubblica (LAP) that transformed the Italy into the largest permanent laboratory of public art in Europe.